MIDDLETON, WISCONSIN — Within a week of media reports that Spectrum Brands Holding Inc was exploring the possible sale of its appliance and battery divisions, Energizer announced on Tuesday it would buy the company’s battery and portable lighting business in a $2 billion cash deal. 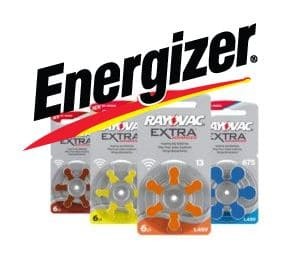 By acquiring Rayovac from Spectrum as part of the deal, Energizer will become the largest supplier of hearing aid batteries, controlling more than 60 percent of the world market. According to a report in Reuters, SunTrust analyst William Chappell was quoted saying that Energizer will control more than 40 percent of the overall U.S. battery market and over 85 percent of the total market following the conclusion of the deal. As a result of the deal, Energizer will have greater pricing power and will expand its international presence in Europe and Latin America. The company said the acquisition would be expected to generate annual savings of $80 million to $100 million. While some regulatory concerns remain, early trading saw Energizer shares up 15 percent on Tuesday. The companies said they expect the deal to formally close at the end of the year.